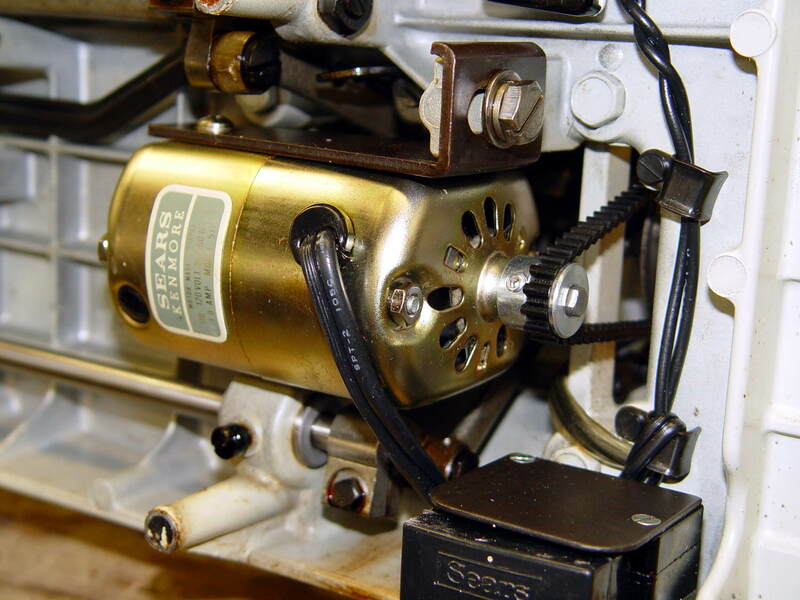 Mulling over how to add a 1/rev sensor to the sewing machine motor, it occurred to me that simply drilling a hole through the pulley would provide a clean optical path and a convenient 2/rev output signal. Rather than drill a hole in the shaft or (attempt to) affix something onto a pulley that spins at 10 kRPM, I figured I should make another pulley and mutilate that. Because this will surely call for more than one new pulley before I get everything right, a lathe form tool seemed in order. Introducing a suitable blank from the Bin o’ 1/4 Inch Bits to Mr. 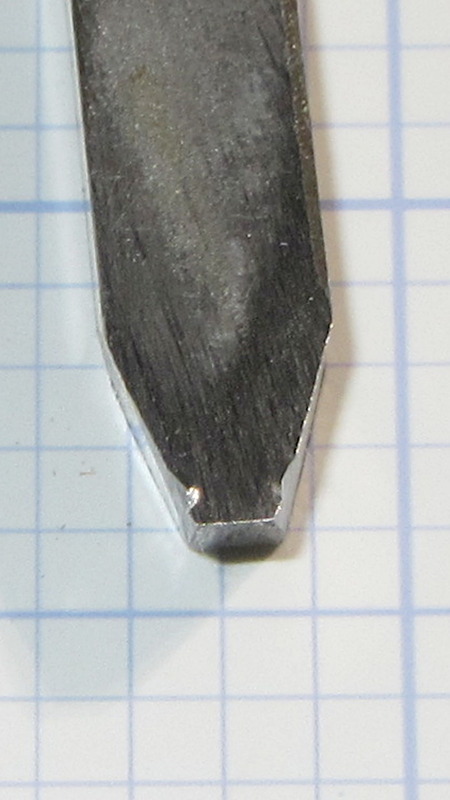 Bench Grinder produced a likely looking candidate, with an included angle of about 35° (a skosh over 17° on each side) and sized just a wee bit narrower than the pulley groove. 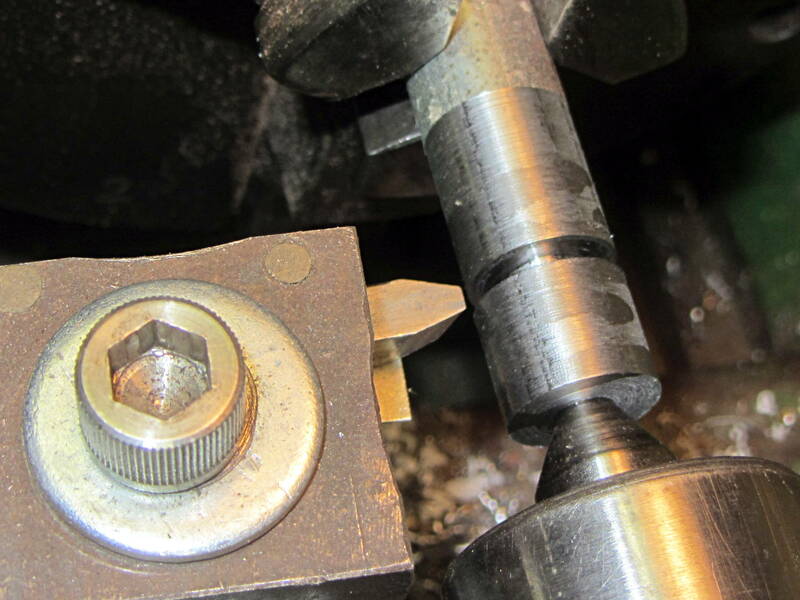 Plunging the tool slowly into the cut produces … no chips … nothing … smoke? I should have known that from the type of sparks flying off the grinding wheel, right?